A variation of a die cut carton that is particular good for boxes that need to open at the top, rather than from the side, as they have a strong interlocked base. This style of box has a tuck in top and a base that locks together. Supplied plain or printed in full colour. Either give us a call or fill out an enquiry on our contact us page and one of our friendly staff will call to go through your requirements. 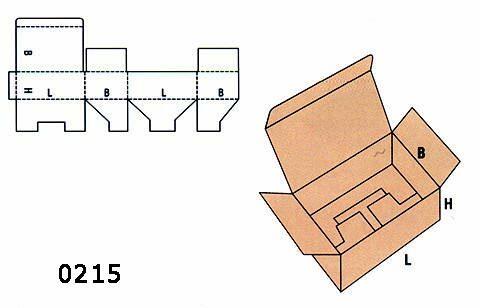 We offer a full a sample making and prototyping service to ensure that the boxes are the correct size and style.